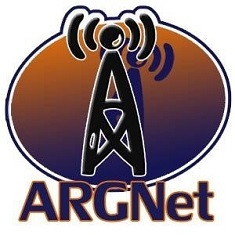 Hey, we like to think that we’re pretty tech-savvy individuals here at ARGNet, with at least one of us owning one of those sorta-new-fangled iPod Touch device thingies. Well, on a whim this weekend, I decided to adapt a WordPress plugin called iWPhone into our Movable Type installation, which you can see at iphone.argn.com. Heck, that interface might be the preferred view for people who don’t use Apple devices! We are going to be moving things over to WordPress in 2008, but are having CSS issues, so it’s still a work in progress. Rest assured, we’re constantly looking for ways to improve the site, both visually and with functionality. If you fine, fine readers ever some across a problem with the site, shoot us a message and let us know about it. I am sorry to hear you are switching to WP. Out of curiosity, what is the reason for switching? Did you know that Movable Type has an iPhone plugin, and a host of other really cool new plugins, including the new Action Stream plugin to help aggregate and display your activity across multiple social networks? !